As shown in the image above, our current location is Singapore, and we've been rejected in the geolocation status. Because of this, we will not be able to access Netflix. Once your IP address has been registered on our website and you've chosen your desired Netflix region, the highlighted portion in the image above will change to reflect the current status of your Netflix access. 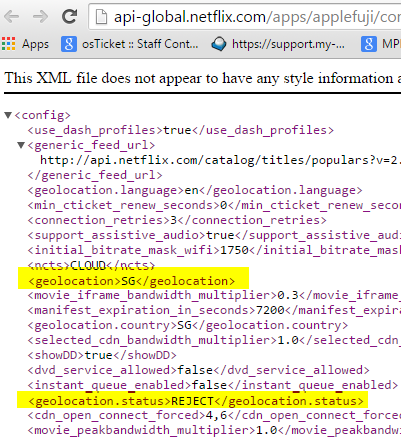 As shown in the image above, Netflix recognises that we're in the USA and allows us access to the service.